In order to maintain a safe and/or secure environment for your tenants in your office building, it’s crucial to invest in security systems. Nowadays, in every office building, there are challenges regarding the security which has gone up in recent years. Hence, to assure that the office is safe, building owners have to understand the benefits and need of security systems along with physical security. Commercial buildings, nowadays, depend on digitalized building automation systems. These systems virtually control all other critical systems that are in the facility. The open protocols are making the management or integration of building automation systems easier with their increased use. Also, for protecting people, data, and equipment on their properties, building owners should use the new surveillance, intrusion detection technologies etc. in their building automation systems. By checking the possibility of a vulnerability in all the areas, building owners can use security systems that will cover and protect their facilities. Pacific Security specializes in developing scalable office building security systems. We create security systems which are away more advanced and better than many other basic systems. When it comes to commercial building security, at Pacific Security, we believe the “one size fits all” myth falls short. This happens because different industries have various different needs. How our security experts can help the building owners? At Pacific Security, our experts will help you select specific components for the protection needs. Our experts will create a well-customized solution for your needs of security automation. Also, you will be able to monitor, from anywhere, your building areas in real time remotely utilizing the Wi-Fi connectivity. It is a critical security system component. Do you have people from different companies that inhabit your overall facility and share space in your building? Access control software could be operated using RFID scanners, card readers, and other occupancy controls like biometric scans. These scans are used to restrict access to various resources and specific building areas. This security component has the ability to protect your property, data, and other information. This also reduces the chances of employee thefts. Also, incorporating the elevator access control in your commercial building has the ability to protect your privacy. It decreases the chances of undesirable traffic as well. 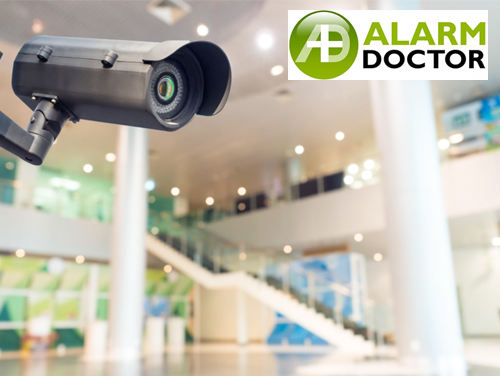 Solutions, for example, CCTV and digital video surveillance allow you in order to monitor the specific areas in your office building. This way you can deal with the security problems whenever they are likely to develop. You can utilize a combination of fixed, pan/tilt/zoom, thermal imaging cameras along with the digital CCTV video recording technology. This will provide security solutions for your entire facility. You will not have to hire guards in for the physical presence. Also, you can use the Video analytics to enhance the surveillance protection in the case of sensitive areas. Do you have any queries regarding your commercial building security? Contact us and book an appointment with our team now.